Proskit Plier is a very solid and affordable. 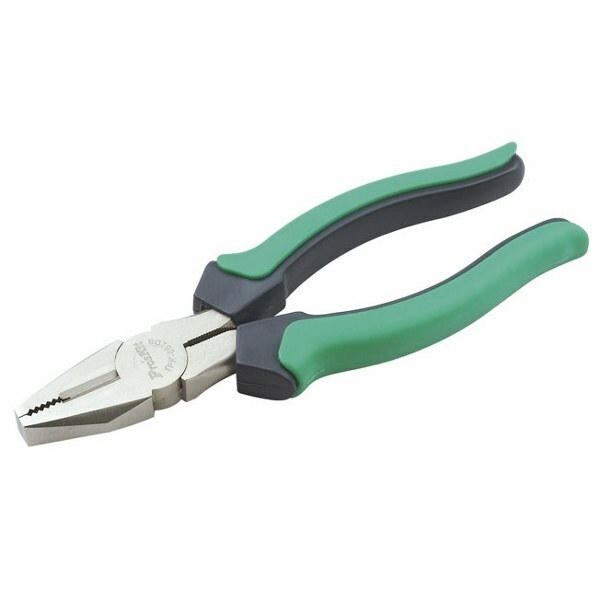 Its dimension is 165 mm It is a high quality carbon steel product. Click for reviewing the product from the producer web site.